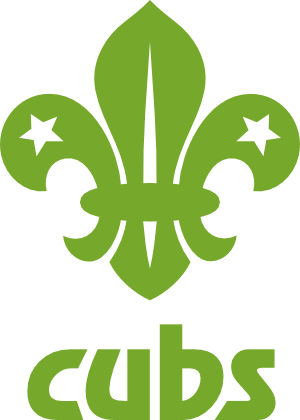 The Cubs meet every Wednesday from 6.30pm to 8.00pm at the 2nd Reigate H.Q. The age range for Cubs is 8 to 10½ years and new members are always welcome. If you would like to join please contact us. Cub Scouts take part in heaps of fun activities, both indoors and outdoors. They regularly get the chance to try new experiences designed to be both interesting and challenging. Over the past year the Cubs have visited the local Ambulance Station, practised map reading in the local community and been on a long group cycle ride. Our favourite activities include building bivouacs, cooking inside and out, tracking, camping, playing wide games on the common, archery, and partaking in our legendary annual water fight. 2nd Reigate Cubs are keen participants in the events organised by Reigate District, including the annual swimming gala, go-kart races and cooking competitions. They also enjoy working towards their challenge badges. On the green at the end of Earlswood Road by Hooley Lane. Please come along and join in to this great fundraising afternoon. Meet outside the Hut. Cubs to come dressed for the weather. PARENT HELPER Samuel Jenner Thank you for helping. If you cannot help on this evening then please try to arrange a swap with another parent, or speak to Scott in advance so that a swap can be arranged. PARENT HELPER Samuel Jenner Thank you for helping. If you cannot help on this evening then please try to arrange a swap with another parent, or speak to Scott in advance so that a swap can be arranged. Meet at car park on Flanchford Road on Reigate Heath Cubs to wear appropriate clothing and bring gloves. PARENT HELPER NEEDED !!! Meet at the hut. PARENT HELPER LEO KNIGHTS Thank you for helping. If you cannot help on this evening then please try to arrange a swap with another parent, or speak to Scott in advance so that a swap can be arranged. PARENT HELPER LEO KNIGHTS Thank you for helping. If you cannot help on this evening then please try to arrange a swap with another parent, or speak to Scott in advance so that a swap can be arranged. Meet at the hut. PARENT HELPER KHANAK KALIDHAR Thank you for helping. If you cannot help on this evening then please try to arrange a swap with another parent, or speak to Scott in advance so that a swap can be arranged. PARENT HELPER KHANAK KALIDHAR Thank you for helping. If you cannot help on this evening then please try to arrange a swap with another parent, or speak to Scott in advance so that a swap can be arranged. Meet at the hut. LOTS OF PARENT HELPERS PLEASE- PREFERABLY ON BIKES!! AS MANY PARENTS AS POSSIBLE TO HELP PLEASE. At the Scout Hut. Please come along, if you can, to hear all the information about how the Scout Group is doing and what future plans are. Please send your Cub along with gloves, bike helmet and long sleeves. PARENT HELPER SHIVALI VOHRA Thank you for helping. If you cannot help on this evening then please try to arrange a swap with another parent, or speak to Scott in advance so that a swap can be arranged. PARENT HELPER SHIVALI VOHRA Thank you for helping. If you cannot help on this evening then please try to arrange a swap with another parent, or speak to Scott in advance so that a swap can be arranged. Meeting place to be confirmed Please send your cubs with shoes for running around on Redhill Common and a coat if the weather requires. PARENT HELPER RUBY ROTHER Thank you for helping. If you cannot help on this evening then please try to arrange a swap with another parent, or speak to Scott in advance so that a swap can be arranged. PARENT HELPER RUBY ROTHER Thank you for helping. If you cannot help on this evening then please try to arrange a swap with another parent, or speak to Scott in advance so that a swap can be arranged. Details to be confirmed PARENT HELPER MANISH CASTRO Thank you for helping. If you cannot help on this evening then please try to arrange a swap with another parent, or speak to Scott in advance so that a swap can be arranged. PARENT HELPER MANISH CASTRO Thank you for helping. If you cannot help on this evening then please try to arrange a swap with another parent, or speak to Scott in advance so that a swap can be arranged. Full smart uniform please. This is the only church parade of this term so please do all you can to ensure your Cub can attend. Thank you. End of term water fight! Weather permitting. Meet at the hut. Please come prepared to get wet!! PARENT HELPER CHRISTOPHER ROBINSON Thank you for helping. If you cannot help on this evening then please try to arrange a swap with another parent, or speak to Scott in advance so that a swap can be arranged. PARENT HELPER CHRISTOPHER ROBINSON Thank you for helping. If you cannot help on this evening then please try to arrange a swap with another parent, or speak to Scott in advance so that a swap can be arranged.